Four years ago Agriculture Secretary Tom Vilsack sent a letter to food industry representatives signaling to them that the country of origin labeling (COOL) rules drafted by the previous Administration did not achieve Congress' intent to inform consumers about the origins of their food. Vilsack's letter strongly urged meatpackers and retailers to "voluntarily include information about what production step occurred in each country when multiple countries appear on the label." Few, if any, meatpackers or retailers heeded the Secretary's request. Instead, most meatpackers and retailers anxiously awaited the outcome of the also-four-year-old complaint filed with the World Trade Organization (WTO) by Canada and Mexico against the U.S. COOL law. In December 2012, the WTO ruled in favor of Canada and Mexico and formally accused the United States of treating Canadian and Mexican imports less favorably than it treated domestic products under the COOL law. Upon his review of the WTO's adverse ruling, Vilsack decided he had been right from the outset. As indicated by the U.S. Department of Agriculture's (USDA's) proposed COOL rule issued on March 8, 2012, the problem with the COOL law all along was that the COOL rule did not achieve Congress' intent to accurately inform consumers about the origins of their meat. Worse, the COOL rule misinformed consumers about the origin of meat derived from animals born, raised, and slaughtered in the United States. Vilsack's proposed rule fixes both those problems. 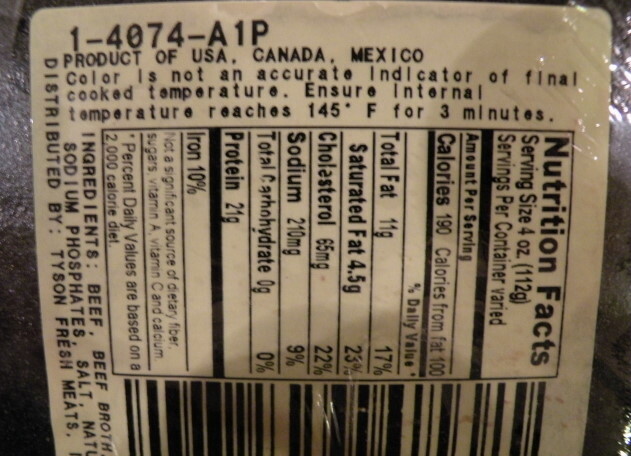 For muscle cuts of meat, the proposed rule would replace currently confusing labels that may state "Product of the U.S., Canada, and Mexico" with a label that states, for example, "Born and Raised in Canada and Slaughtered in the United States." This provision essentially transforms Vilsack's four-year-old request for voluntary compliance into a mandate. For meat derived from animals born, raised, and slaughtered in the United States, no longer could it be mislabeled as a product of multiple countries. Instead, it would be clearly labeled as "Born, Raised, and Slaughtered in the United States." In November 2012, R-CALF USA and the Made in the USA Foundation filed an amended lawsuit in the federal district court in Denver, Colo., alleging, among other things, that the provisions in the COOL rule that currently allow meat derived exclusively from animals born, raised, and slaughtered in the U.S. to be mislabeled with a multiple-country label is unlawful. "If the Secretary finalizes this proposed COOL rule, many of our concerns expressed in our lawsuit will be addressed," said R-CALF USA CEO Bill Bullard adding, "It's just too bad the Secretary allowed Canada, Mexico and the domestic meatpacking and meat retailing industry to prevent him from doing what he knew was the right thing to do four years ago." "We support this proposed rule and encourage every consumer to send comments to USDA before the April 11, 2013 deadline to explain the value that COOL information is to them when they are purchasing meat for their families," concluded Bullard. The public is invited to submit comments on the proposed COOL rule on or before April 11, 2013 using the following address: Federal eRulemaking Portal: http://www.regulations.gov. Follow the instructions for submitting comments.